When Apple agreed in May to pay $3 billion for Beats, it acquired not only a successful headphone line but also a fledgling online music service, a move that many analysts interpreted as a move into the fast-growing world of streaming music. But how committed is Apple to the Beats name? When it comes to online music, at least, the answer appears to be not so much. On Monday, an online report by the technology news site TechCrunch claimed that Apple would “shut down” Beats’ streaming service, Beats Music, citing anonymous sources. That report quickly ricocheted around the Internet, but in a rare public statement, an Apple spokesman flatly denied it. “This is not true,” Tom Neumayr, the spokesman, said, when asked whether Apple would shut down the Beats Music service. But the company’s plans for the Beats Music brand are unclear. 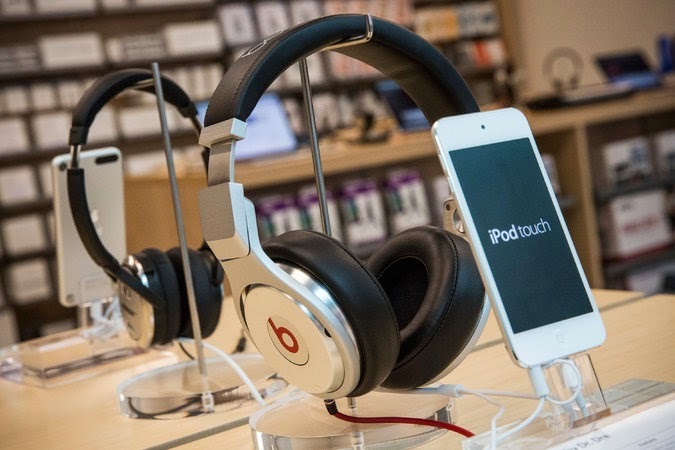 One possibility suggested by Wall Street experts and industry analysts was that the name would eventually be retired and streaming music would be incorporated into iTunes, with the Beats brand preserved for headphones and other audio products. When Apple announced the Beats deal in May, its executives were vague about what place the Beats service would have within the streamlined Apple ecosystem, but said that it would coexist alongside iTunes. Jettisoning the Beats Music brand and incorporating its streaming service into the iTunes platform, if it happened, would represent a change in Apple’s thinking. By absorbing Beats, Apple could gain the kind of simplicity that it craves in its evolving plans for digital music, with a single consumer brand — iTunes — representing its music offerings. While subscription services are still a relatively small part of music sales, accounting for just over $1 billion of the $15 billion global music business, they are growing rapidly. But download sales, which Apple has dominated for a decade through its iTunes store, are beginning to decline quickly. Beats Music, which introduced its service in January, has not announced its user numbers but has been estimated to have around 250,000 paying subscribers. Spotify, the leading subscription service, has 10 million paying users and another 30 million who use a free, ad-supported version. Ending the Beats brand would be consistent with how Apple has handled acquisitions in the past. Last year, for example, it bought the start-ups Embark and HopStop, which provided public transit directions, and put their employees to work on Apple’s Maps service. And after Apple bought the music service Lala in 2009, it shut the service down and incorporated its workers into iTunes. After Apple took control of Beats this summer, it put Ian Rogers, Beats Music’s chief executive, in charge of iTunes Radio, Apple’s struggling Pandora competitor. Divining Apple’s plans for Beats has been a popular guessing game this summer among analysts and music and technology executives, and the company has provided little direction. In a recent television interview with Charlie Rose, for example, Timothy D. Cook, Apple’s chief executive, said he was “100 percent sold on music subscription.” Yet Beats played virtually no part in Apple’s promotion of its new iPhone and Apple Watch this month, and new iPhone 6 models arrived last weekend without a Beats Music app preloaded, as some had expected there to be. For those doubters, the suggestion that Apple was reconsidering its plans for Beats seemed welcome. Toni Sacconaghi, a financial analyst for Sanford C. Bernstein, said it would make sense for Apple to continue to sell Beats headphones while discontinuing Beats Music, which could confuse customers who thought of iTunes as Apple’s music brand.